When one reads stories of the old Chasidim, from the Baal Shem Tov through the first few generations, the impression one is left with is of a movement very different from the Chasidim of today. Specifically, Chasidim today are, across the board, associated with a level of stringency equalling if not exceeding that of other movements within Torah Judaism. Where a Chosid of old might have considered himself to have davened Shacharis by going out into a forest for heartfelt conversation with G-d (R' Zisha, according to Buber's "Tales of the Hasidim") or sobbing into the paroches for five minutes at 2PM (told by R' Shlomo z'l about a Kotzker Chosid), this kind of behavior would be unthinkable in any Chasidic community today. Was there a focal point at which the Chasidic movement re-aligned itself with the orthodoxy from which it originally sought to break? If Chasidus was an attempt to revive Judaism and free it from the excessive legalism and stringency that dominated Ashkenazi Jewry until then, what caused it to apparently fall in to the same trap? Having written this question, I now want to stress that I don't think immersion in stringency and legalism is a trap. Rather, it is a legitimate expression of Judaism. I'm just trying to better understand how and why Chasidus came back around to that which it seems to have originally been striving against. Each generation of Chassidus had a different purpose. The Baal Shem Tov connected to the simple Jew, to show him or her that just because they are not learned in Torah doesn't mean that they don't have a connection to G-d. He traveled around Europe encouraging the Jewish people and waking them up from a spiritual slumber. The Maggid of Mezritch did not travel, instead he surrounded himself with an inner circle of tzaddikim to map out a spiritual plan to revive Jewish spiritual life. If the early Chassidim were not concerned with halacha but instead with a forest meditation, why would the Maggid ask the Alter Rebbe of Chabad to compile a Shulchan Aruch? Why would Rebbe Nachman, who is one of the biggest supporters of forest meditation, write that a Jew must learn Gemara and Shulchan Aruch? IMHO the Chassidim experienced unbelievable success. Generations later those simple Jews have decedents that are Rabbis and Talmidei HaChamim. 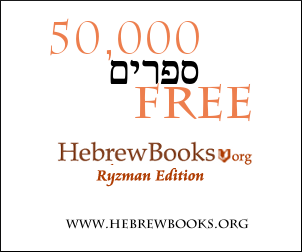 The movement has translated and printed more literature that helps one connect to G-d than ever before in history. Most Chassidim today do not live near forests, and while Chabad and Breslov stress meditation, the rest of the Chassidim took the route of living a strict Torah life. Most of the "Chumrahs and Stringencies" that we have today, come from those generations; they were not made up in America or Israel. I agree that Chassidus has changed, mostly due to a mass uprooting of the Chassidic world, with millions being burned alive and the survivors moving across the world to America or Israel. Communities merged and completely absorbed each other. Chassidus never sought to "break away from" Orthodoxy. It sought to give the non-elite a chance to live that Torah life that was locked away by the elite. The Chassidim wanted all Jews to be learned in Hashem's Torah which the Tanya quotes as being literally the "will of Hashem" and by learning it you connect to Hashem on an unbelievable level. I agree that the spiritual vibrancy of Chassidus of old has left the movement, but IMHO you can thank the Holocaust for part of that. While WWI and the Industrial Revolution had devastating effects on European Jewry, it did not systematically destroy entire Chassidic Courts. The result of WWII is that a Satmar Chasid now was living next to Sephardim, Polish Chassidim, Litvaks and other Jews that never before had been the case. As the Rambam says in Hilchos Deos; You are product of your environment. Chassidim were now influenced by each other and other streams in Orthodox Judaism. Now 60 years later we are seeing the results of this. Chassidus Chabad and Chassidus Breslov took some of your concerns and transformed them into what is known today as the "kiruv" movement which seeks to bring back Jewish souls to Hashem and the Torah. Some might disagree, but Chabad Chassidus is the foundation of the "Kiruv" Movement, which is what some might consider to be a revival of the original vision of the Baal Shem Tov. Chassidus has already accomplished much of what it set out to do, and has caused significant changes in the "mainstream" of yesteryear, such that the non-Chassidism of today is really a product of both the "mainstream" of yesteryear, and Chassidus itself. While it is true that Chassidus has changed quite a bit from it's origins, I disagree that Chassidus has returned to the ways and practices that it originally broke from. As mochin rechavim's answer correctly points out, one of the main points of Chassidus was to break away from the idea that the only way to serve G-d properly was to be a Talmid Chocham, and if you weren't, you were a nothing. This was simply the metzius of how simple Jews were viewed back then. If a Jew couldn't learn Torah, then he was viewed as inferior. In addition, if a Jew didn't learn Torah, or didn't do mitzvos, he was considered completely lost to Judaism. I don't mean halachically, I mean in the public perception. So this was one of the things that Chassidus set out to accomplish (and was incredibly successful at, I believe): to change that perceived inferiority of the simple Jew. This was necessary in two ways: 1) to change the community's perception of unlearned Jews, and 2) to change the unlearned Jew's perception of himself. In this respect, Chassidus was incredibly successful. Look around today to see how much. Also, Chassidus also introduced Toras Hachassidus, a new dimension in learning and understanding G-d and his Torah. This is certainly still studied today. As far as breaking away from "the excessive legalism and stringency that dominated Ashkenazi Jewry", I'd say that Chassidus wanted something more. Chassidus injected an idea of connection and closeness to G-d that (I believe) did not exist before. It tried to show that observing halacha by rote is, at best, half the picture. It was at least equally important to think about the One who you're learning about, or praying to, as it was to learn and pray in the first place. This is not to say that Chassidus advocated (or advocates) anything less than what halacha requires. But it tried to bring back the life into it's observance. Chassidus wanted to make Jewish practice more G-d-conscious. I'd say that Chassidus has been successful at this, and is continuing to try to bring this into the public consciousness. Has Chassidus moved back more into the "mainstream" from when it first started? Yes. This is a result of both Chassidus moving towards the "mainstream", but also, and perhaps more importantly, of the "mainstream" moving towards Chassidus. I'd compare this to the Rambam's dictum: When you want to change a flaw, move to the opposite extreme. Then, once you've become accustomed to that, you will be able to move toward the middle. Also, as mochin recahvim said, every generation needs something else, and this is what this generation needs. What was necessary for yesteryear's generation may no longer be necessary for our's. So while Toras HaChassidus and the fundamentals of it's practice and theology (for example "Chassid Sorfon") remain unchanged, some of the externals have changed. This ended up a lot longer than I had originally intended, but what I've mentioned is really only a snippet of the larger effect of Chassidus. For more information on this, I suggest listening or reading the beginning of "Inyana Shel Toras HaChassidus, available as an audio lecture (thanks @mochin rechavim) or Hebrew/English PDF. This is geared towards Toras HaChassidus (specifically as taught by Chabad), but starts from the Baal Shem Tov. You seem to be confusing Buber's neo-Chassidism and Carlebach's kiruv-Chassidism with actual Chassidism. Both of these authors had an agenda of advertising a secularized version of chassidism to their followers. Original Chassidism was more about adding on to existing Jewish practice by providing commoners with something that they could connect outside of simple Torah study. They had the same, if not greater emphasis on practical observance, with the main differences being in the extent of their focus on prayer and the centrality of mystical 'rebbes' who were (/are) believed to be miracle workers and spiritual mediums. I hope this good question you asked leads you to strive for originality and being real with HaShem. In the general Judaism of today, it is forbidden to have your own opinion unless you're considered one of the "gedolei hador". Spiritual expression is prohibited, and everyone is expected to dryly recite prayers with little or no emotional involvement. Everyone says you have to pray with a minyan, even if they pray at 10,000 words per second - this is preferred to them over praying alone, for example, at the pace of your heart and with full intention and emotional involvement in your prayer - as it is supposed to be. Most of modern Judaism has lost aspects of Torah, such as halakhoth regarding qorbanoth, Melakhim, war, and have lost a whole aspect through some of these things about what it is to be a Jew. Sometimes, Jews resort to eastern mysticism for their spiritual needs. Expression of spirituality is a taboo, everything must be in the lines. In some part, Judaism has become a dead system. Perhaps this was foreseen by the successor of Besh"t, Rabi Nahman of Breslev. However, many of my fellow adherents of his hasiduth make him out to be some hippy peacenik. Everyone is under the assumption that a good Jew is one that sits all day with his head in a book, his wife may even work to support him entirely. Her parents may even support their family with some finances as well. In order to get married in the first place, though, he must talk to the Rav. He must wear a nice jacket, a nice hat, he must come from a prestigious family (or else he's scum). It would even help to know how his parents stacked their dishes in the cupboard, and what kind of tablecloth they used. If an Arab from the neighboring city comes up to attack him, he would be defenseless; he would get killed and everything of his would be plundered. The way it used to be is that Jews were warriors and had personal, spiritual relationships with HaShem. Hitbodedut and spiritual expression was more common. Wives were bought and attained by the man, not the other way around. Original Hasiduth was a big strive in that direction, to return to that originality. And this was brought on by HaShem. Moshe returned throughout generations, inhabiting different leaders, ending with Rabi Nahman until Mashiah comes. It would be highly advisable for every Jew to do actual teshuva and return to HaShem on every level they are able to, in light of the world conflict about to come. (My comments are not merely opinion, but based on personal experience both in life and from the mesora I've received). Not the answer you're looking for? Browse other questions tagged history chasidut-hasidism stringency-chumrah . What happened to the Eirev Rav? 613.org, 613db.org: what happened to it?